Packaging is produced from roll stock with pre-applied closures for faster production runs and minimal downtime and waste. 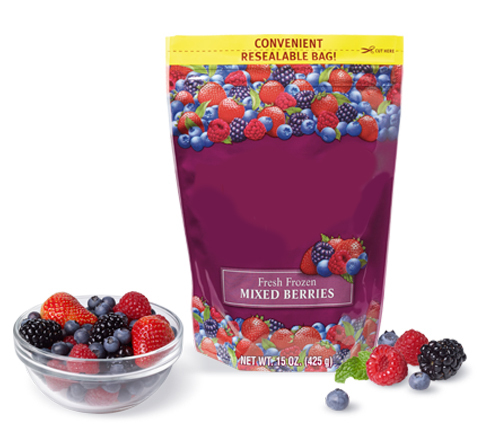 It can be used for form-fill-seal applications or pre-made bags and pouches. A package with Zip360TM can be resealed along the top opening or the entire width of a gusseted pouch. Lying flat, packages can be closed and locked, with no need to tuck into the gusset to close. Thanks to the wide mouth opening provided by the technology, consumers can easily scoop or pour contents from the package then reseal with confidence that the original packaging will keep their product fresh and air tight. The special closure also leaves room for high-impact, consumer-snaring graphics on all sides of the package. For expert advice on the best closure design for your package with Inno-Lok®, call us today.